A real treat! 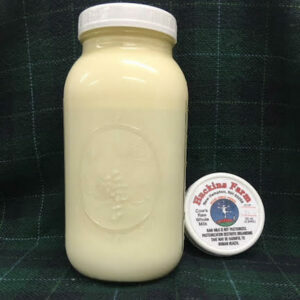 Made with raw milk, maple syrup, real vanilla. $1.50 jar deposit included in on-line price. Bring back jars and we will buy them from you. 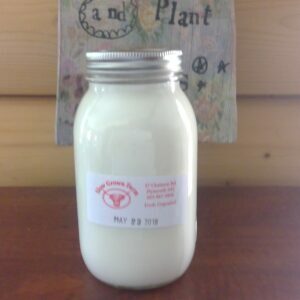 Be the first to review “Maple Flavored Raw Jersey Milk–quart” Click here to cancel reply.